What is a "cult"? How dangerous are they? Do "cults" ever change and turn into Christian churches? Here I seek to answer some of these questions. This is a fascinating area of study that has been part of the Christian church from the earliest centuries. Do I tak a sympathetic Approach to cults? That has been the accusation since the late 1980s and since when I was known for my work with and support of the Worldwide Church of God, Jesus People USA, University Bible Fellowship, and most recently, the Local Church. The Local Church has its origins in China, the founding fathers being WITNESS LEE, and before him WATCHMAN NEE, who is well known worldwide for his writings on Christian spirituality and suffering. A minister in the Local Church has written an interesting overview of the Local Church. He's not entirely positive (nor and I), but it is interesting that he can post something that contains negative reflections and continue his ministry. A true "cult" rarely permits such. Check out the site here. New "cults" pop up like dandelions in spring. I've studied cults and new religions for more than a quarter century and nothing surprises me anymore. It's hard to keep up with all the new religions in the Western world, say nothing of those in Latin America, Africa, and Asia. In Another Gospel, I deal with groups from the Mormons and Jehovah's Witnesses to TM and the Christadelphians. 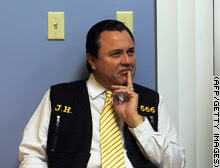 Jose Luis de Jesus Miranda is not your typical minister. De Jesus, or "Daddy" as his thousands of followers call him, does not merely pray to God: He says he is God. "The spirit that is in me is the same spirit that was in Jesus of Nazareth," de Jesus says. "He's in their heads, he's inside the heads of those people," says Prof. Daniel Alvarez, a religion expert at Florida International University who has debated some of de Jesus' followers. "De Jesus speaks with a kind of conviction that makes me consider him more like David Koresh or Jim Jones." De Jesus and his believers say their church -- "Creciendo en Gracia," Spanish for "Growing in grace" -- is misunderstood. Followers of the movement say they have proof that their minister is divine and that their church will one day soon be a major faith in the world. "The prophets, they spoke about me. It took me time to learn that, but I am what they were expecting, what they have been expecting for 2,000 years," de Jesus says. De Jesus preaches there is no devil and no sin. His followers, he says, literally can do no wrong in God's eyes. For more, see news story. 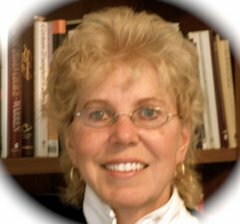 I began teaching at Calvin Theological Seminary in 2000--the first full-time woman professor in the school's 125-year history. In 2003, less than 3 months after Cornelius Plantinga, Jr. was installed as the new president, I was, without warning, removed from tenure track and given a terminal appointment. I have repeatedly asked that all the evidence be opened only to be blocked by a dishonest cover-up. When independent mediators were retained by the seminary board in 2005, they called for "retroactive pay to 2003," among other things. That report was buried. I finished my second terminal appointment on August 31, 2006, and shortly thereafter published my story at www.ruthtucker.net. I used this book as a textbook for a class on "Christianity and the Cults" at Denver Seminary. This book covers a wide variety of new religious groups, both ones that claim to Christian, like Mormons and JWs, and New Age type groups like Hare Krishnas and Baha'i. The professor preferred this volume to Walter Martin's "Kingdom of the Cults." I believe the reason why is this book is less "harsh" in its evaluations of the teachings of these groups than Martin's. When this book evaluates each group's teachings, it is more with the attitude of, "This is something that should be considered" than Martins' "I'm right, you're wrong, that settles it" attitude. For each group, Tucker gives a rather extensive review of its background and history, including a short biography of the group's founder and other important figures in its history. The "distinctive doctrines" of the group are then explained. And lastly, she provides what she calls "challenges" to these doctrines. But she emphasis that this should be done in a respectful manner. She is correct is saying that false teachings do need to be confronted, but it is possible to do so in a loving a respectful manner (1Peter 3:15). However, one deficiency of this book is it does not have that many Scripture references in it. Tucker seems to assume that the reader knows the Biblical basis for such basic Christian doctrines as the Trinity. And she generally provides logical not Biblical refutations of each group's teachings. To study what the Bible has to say on such doctrines, one would need to consult a book like my "Scripture Workbook: For Personal Bible Study and Teaching the Bible." It presents hundreds of verses supporting basic Christian doctrines, such as the nature of God and the Trinity, and it provides rebuttals to interpretations these groups place on verses they quote in trying to support their doctrines. Tucker's book is very helpful for the background information on these groups and the respectful attitude she presents. Christians need to have a basic knowledge of what such groups teach or at least a good references like this around this around to consult. But for a Biblical study on such topics, you'll need to consult a book like my "Scripture Workbook."